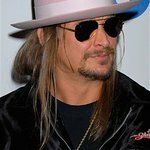 Kid Rock will serve as the headline entertainment as the American Cancer Society returns to its roots in Detroit for the ninth annual Cattle Baron’s Ball, to be held at Joe Louis Arena in downtown Detroit on Saturday, October 29, 2011. After two years of hosting this annual fundraiser in Auburn Hills, the American Cancer Society and Chevrolet are bringing it home to the D and in a big way, with Detroit’s own Kid Rock and a variety of events and activities. Presented by Chevrolet, this year’s ‘Motown Showdown’ is led by honorary chair Joel Ewanick, Global Chief Marketing Officer, Global Marketing, General Motors, and supported by many of the area’s most respected corporate and medical executives. The Cattle Baron’s Ball has earned its rightful place as one of the most distinctive charitable events in metro Detroit having raised more than $7 million to support the fight against cancer since 2003. Known for its festive atmosphere and delicious western fare, the Cattle Baron’s Ball unites diamonds and denim with black tie and boots to fight the ongoing battle against cancer in metro Detroit and beyond. For more information on Cattle Baron’s Ball event news, ticket availability, or sponsorship information, call 248-663-3401 or visit cbbdetroit.com.